With oil depots strategically located, we're relied on by businesses and homes all over the UK to ensure they receive their delivery as and when they need it. If you’ve been looking for a new, local oil company that can deliver a full range of oils to your home or business. You may have searched in your favourite search engine for “oil companies near me” or similar search queries and been unable to find what you were looking for, until now! Here at Crown Oil, we’re a national oil company, but with a local, friendly service. In fact, with over 100 local oil depots dotted across the UK, we’re able to supply customers across the UK with a same day or next day delivery service. As one of the largest independent oil companies in the UK, we’re able to bulk buy our fuels, oils and lubricants at prices many local oil distributors are unable to compete with. Better still, we pass these savings on to our customers making us one of the lowest priced companies in the UK, all at the same time as providing our local, friendly service. Why look anywhere else? Give our friendly team here at Crown Oil a call today on 0845 313 0845 to see if we can save you money on your oil requirements. With over 70 years’ experience of suppling fuels, oils and lubricants. 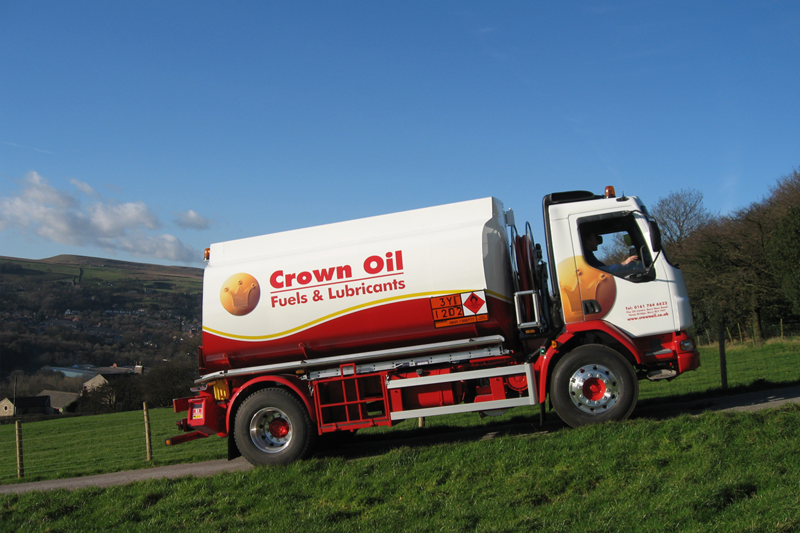 We’re a family-run, independent company that can trace our history back to our humble roots as a local oil supplier, delivering to customers in Bury, Lancashire. That experience and our humble beginnings have been at the forefront of everything we do. Our commitment to customer service has always been important to us, even as the business has grown to what you see today. As a company that takes our green credentials seriously, we do all we can to ensure that we’re limiting our environmental impact through a range of greener initiatives to help lower our Carbon Footprint. One of things we’ve done to minimise our impact, is to plan our delivery routes to lower the mileage our tankers drive each and every year. We’ve been able to achieve this thanks to the 100+ oil depots we supply our oils and fuels from. Without our depot network, our tankers would have to spend many more hours and do many hundreds more miles each and every day as a consequence. So, thanks to our locally employed tanker drivers’ knowledge of the Villages, Towns and Cities in their Counties. As well as our pre-planned delivery routes. We minimise our environmental impact. Unlike other companies who often claim to be a local supplier but will travel great distances across the country in order to deliver your fuels. Why choose Crown Oil, the (national) local oil supplier? As a National company, you can order fuel and oil products from us for local delivery anywhere in the UK. Due to our size and buying power, we can offer competitive oil prices, which are often unable to be matched by many of the local oil distributors. All thanks to our healthy relationship with oil refineries and our massive buying power. 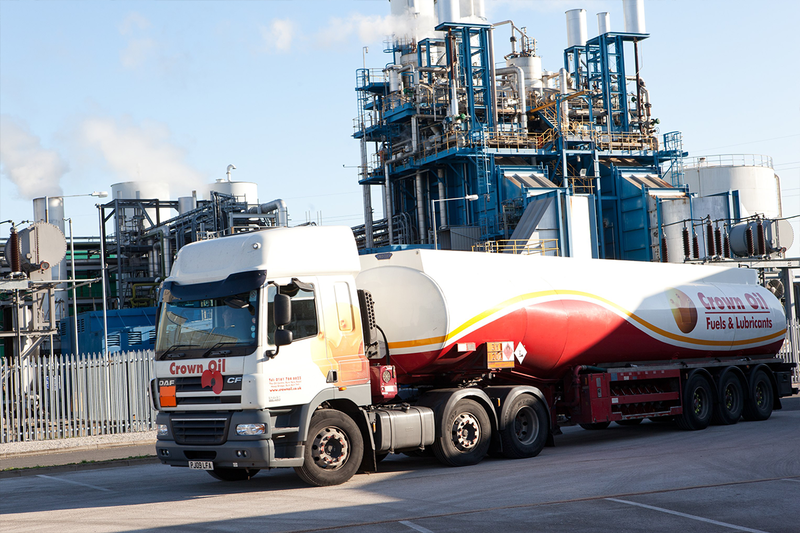 Strategically positioned fuel depots: Our true national coverage across the UK enables us to get fuel deliveries to you quickly. Same or next day fuel delivery service: We can deliver fuel when and where you need it with an additional emergency fuel service also available if needed. Buy fuel in many quantities: No order is too small or too big! From a single barrel to a large tanker, we can meet your order requirements. Dedicated account manager: One point of contact who has the knowledge of the oil markets and can help manage your account with a personal touch. Flexible payment terms: We have some of the longest payment terms around, to give you flexibility. Find out more about our various payment methods accepted. Outstanding Customer Service: We take pride in serving you as best possible, and our highly trained staff can provide technical support for any fuel related queries. 1. Give our fuels team a call on 0845 313 0845. They will be able to quote you on your specific needs, depending on quantity ordered and area for delivery. 2. You can also fill in our online fuel quote form for a price in your area. You can select options for fuel type and quantity needed. 3. Our fuels team can also be contacted through our Live Chat tool. You can reach out to them at any time for a quick response. Give Crown Oil a try if you need to order fuels or lubricants and see why so many customers choose us as their local oil company of choice. We can supply a range of quality fuel products, lubricants, Storage Tanks and ancillary and dispensing equipment. You can also benefit from our wide range of related fuel environmental services, designed to help businesses with fuel maintenance and environmental responsibilities. If you’re looking for a local, friendly service, with the savings only offered by a large, national company. It’s time to give our friendly team a call on 0845 313 0845 to see for yourself why domestic and business customers turn to Crown Oil.